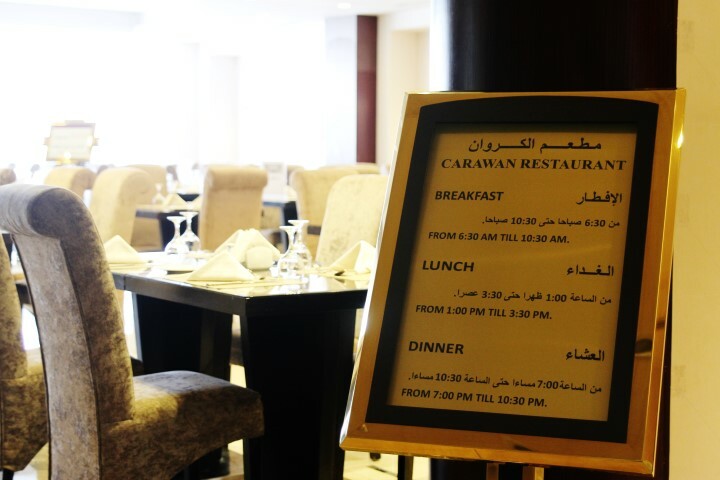 Dining at Carawan Hotel is a true pleasure. 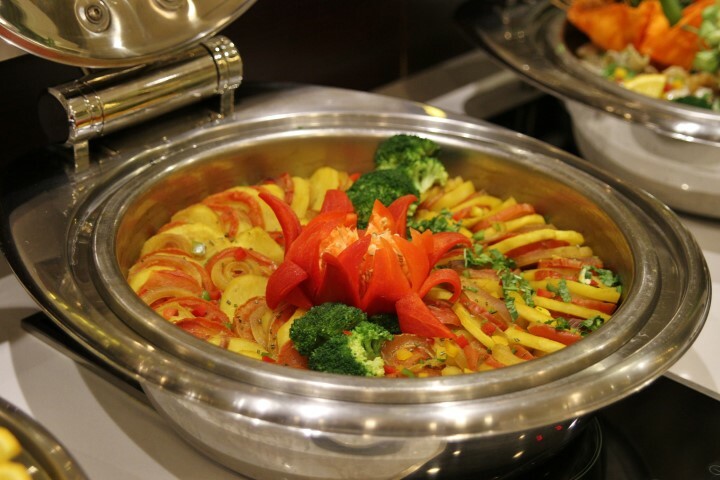 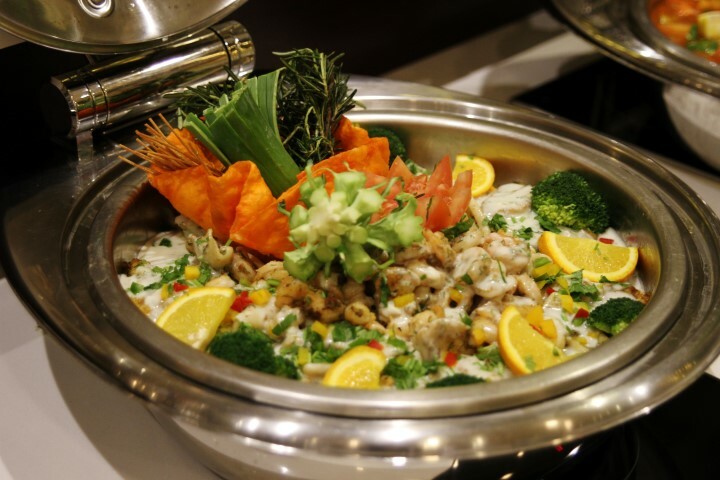 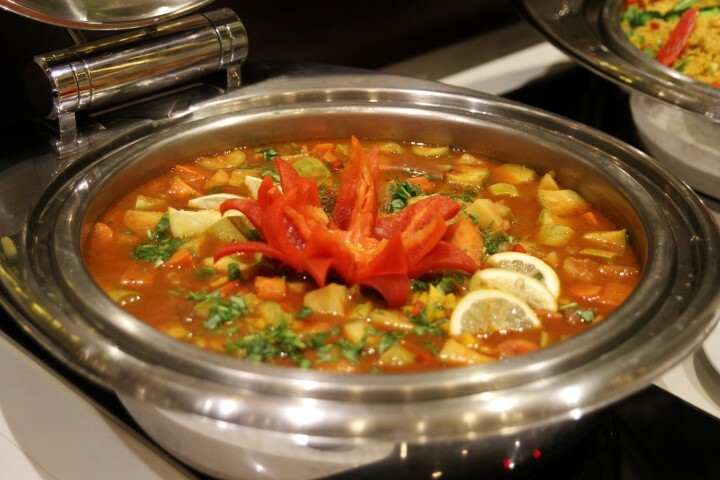 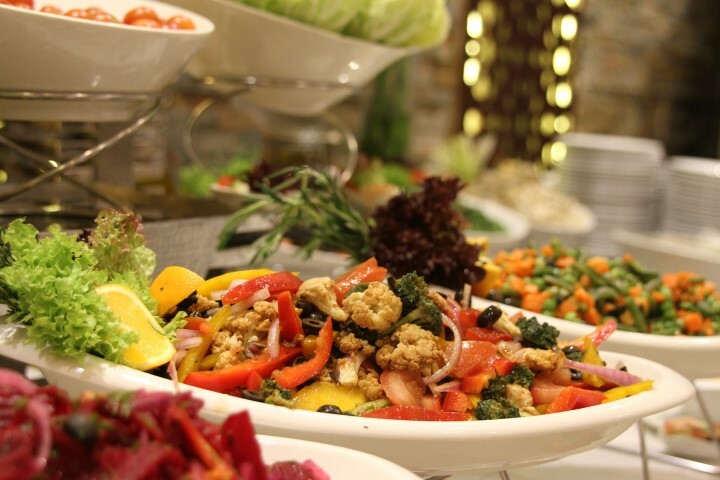 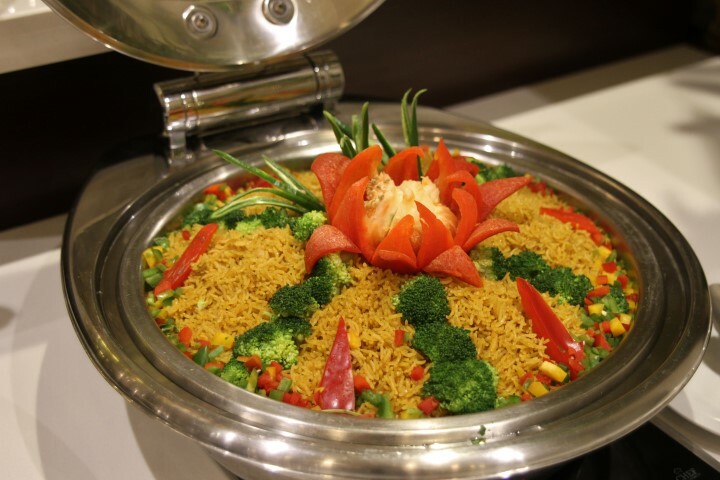 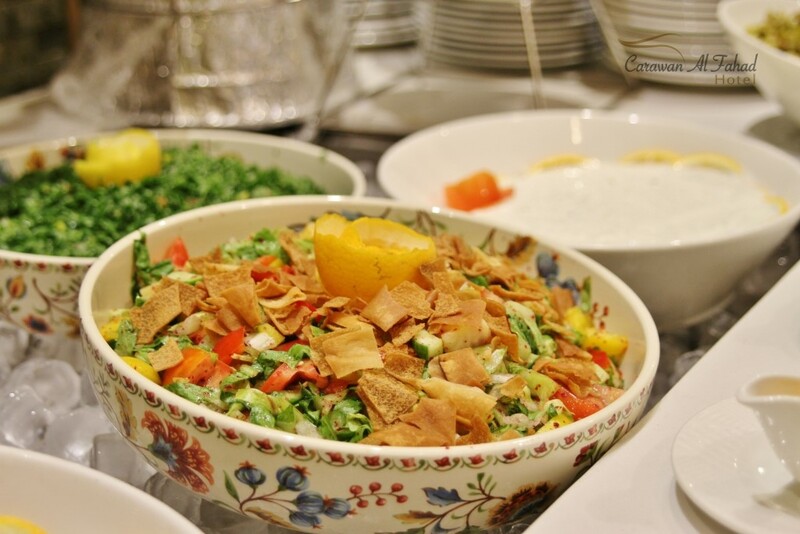 Our restaurants offer an impressive selection of local and international cuisines. 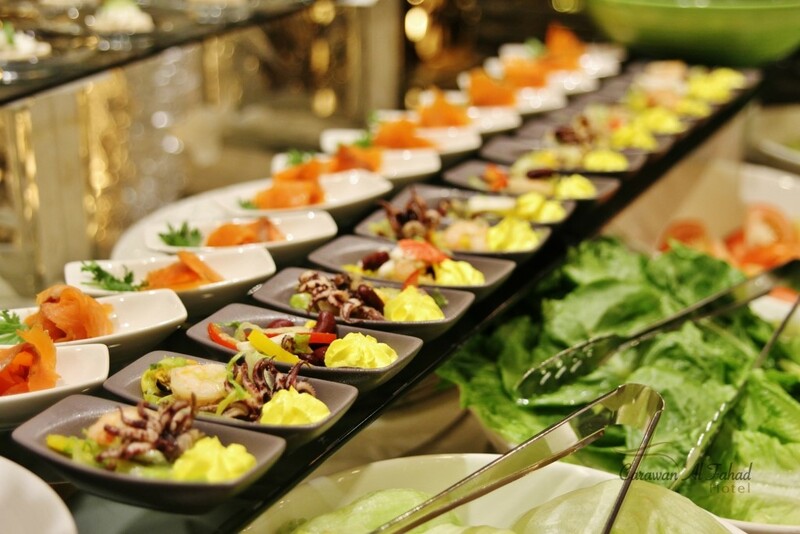 Using the finest ingredients our experienced culinary team creates an array of mouth-watering dishes. 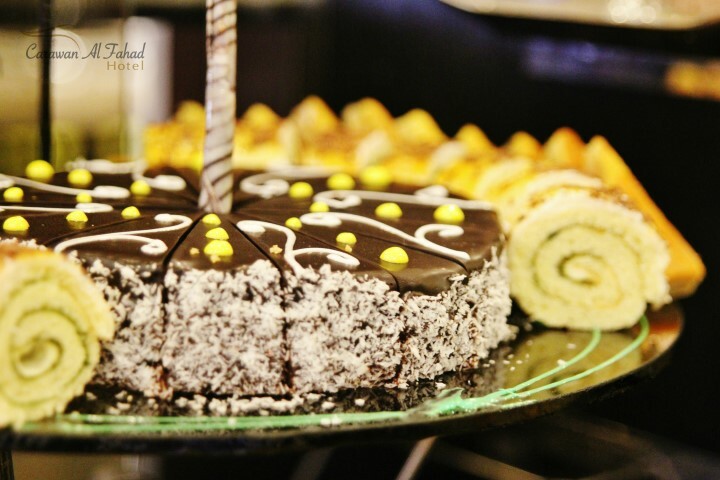 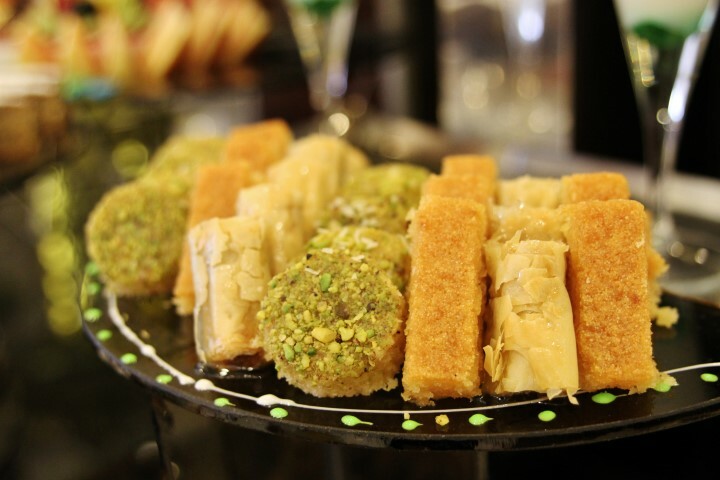 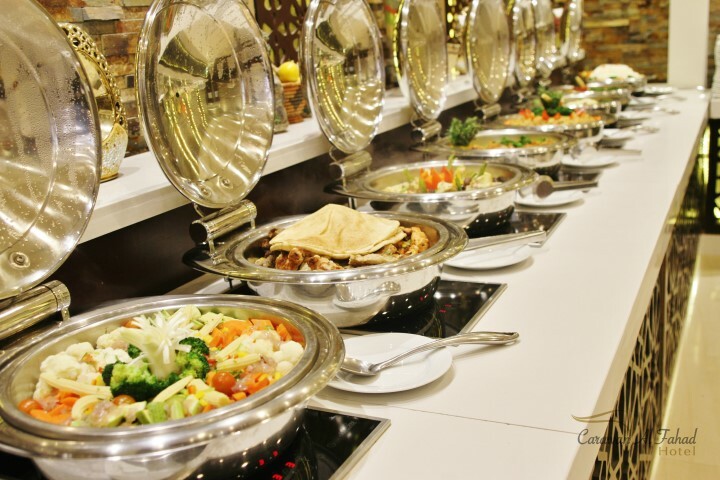 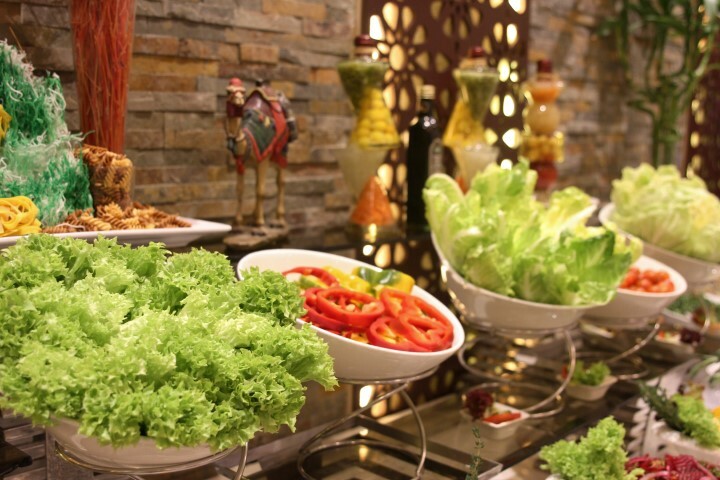 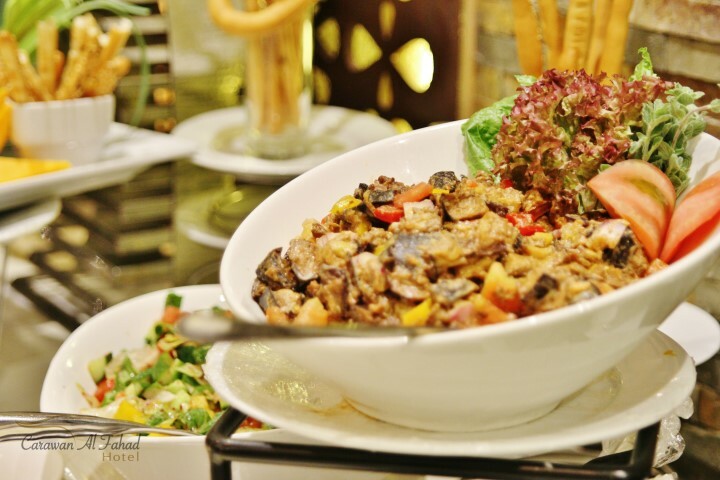 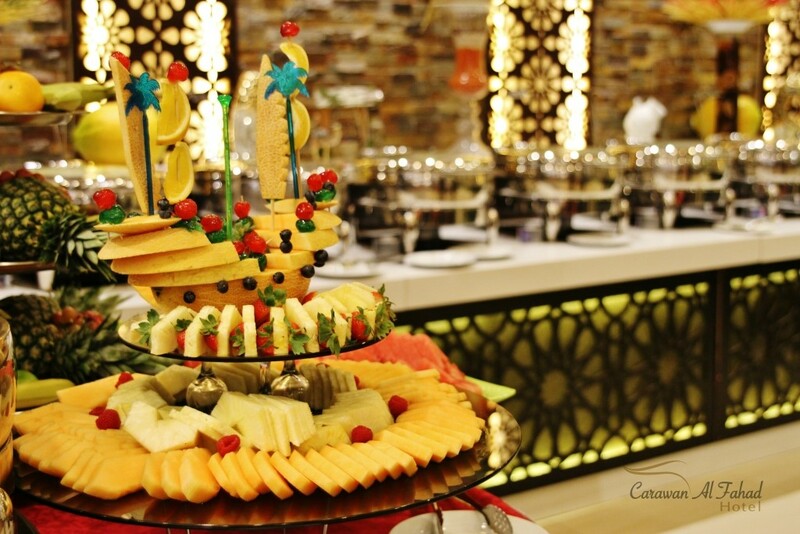 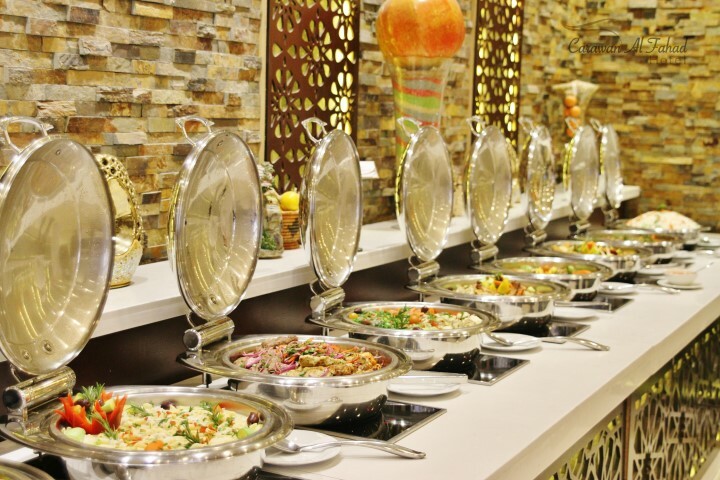 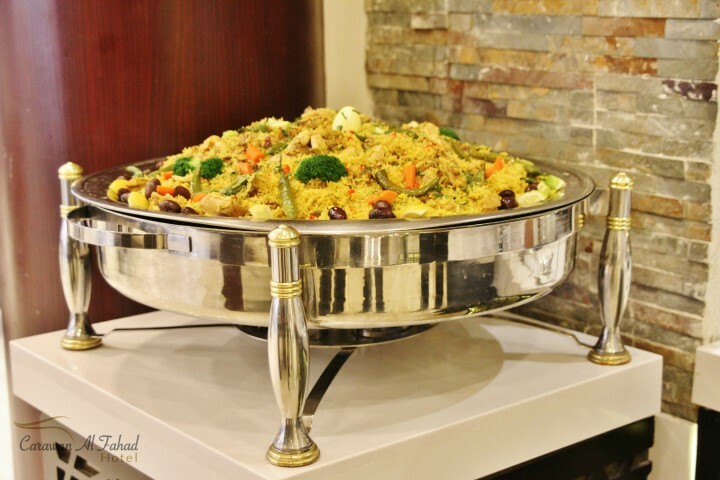 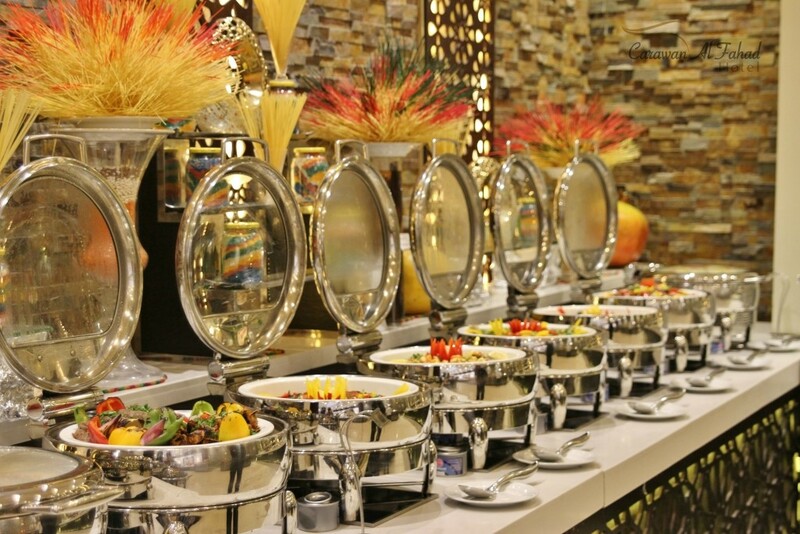 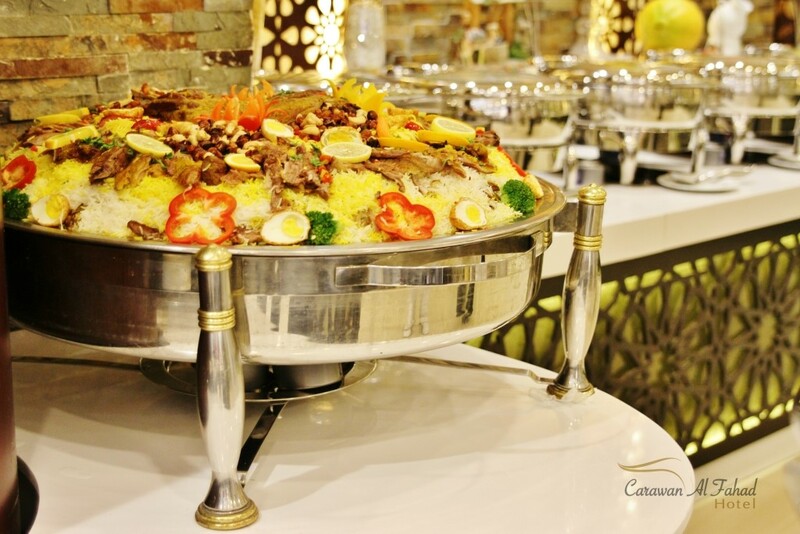 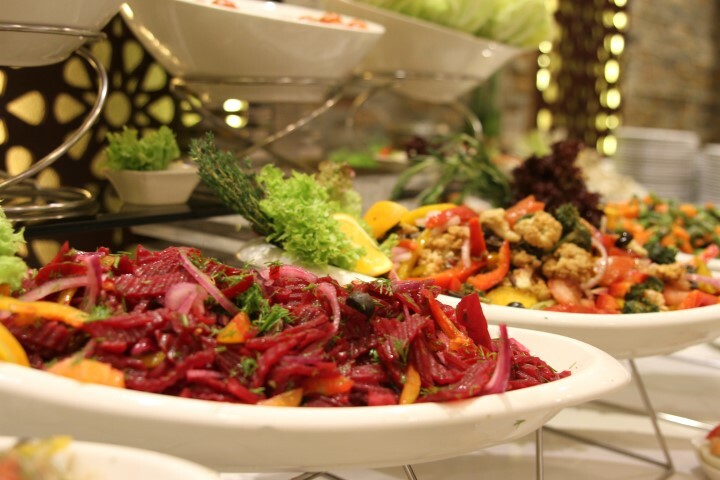 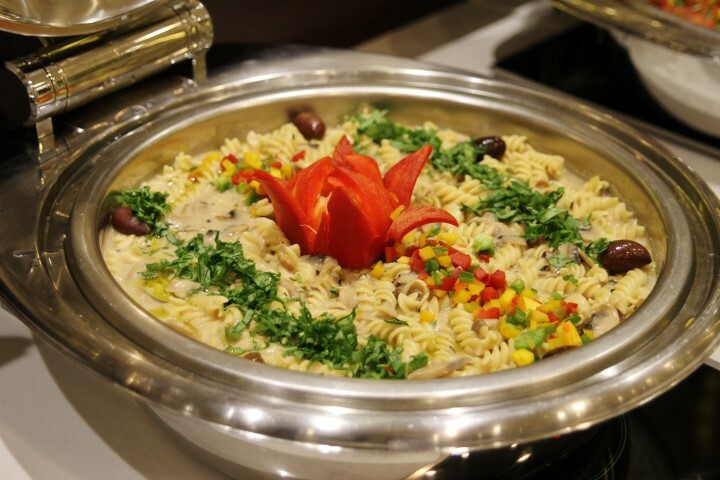 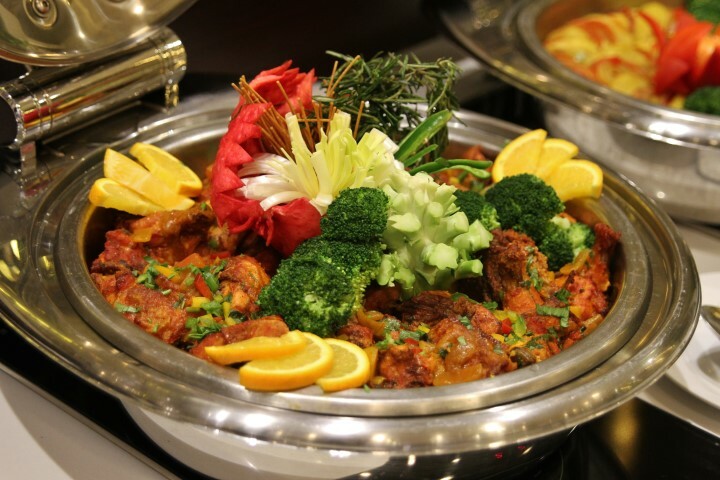 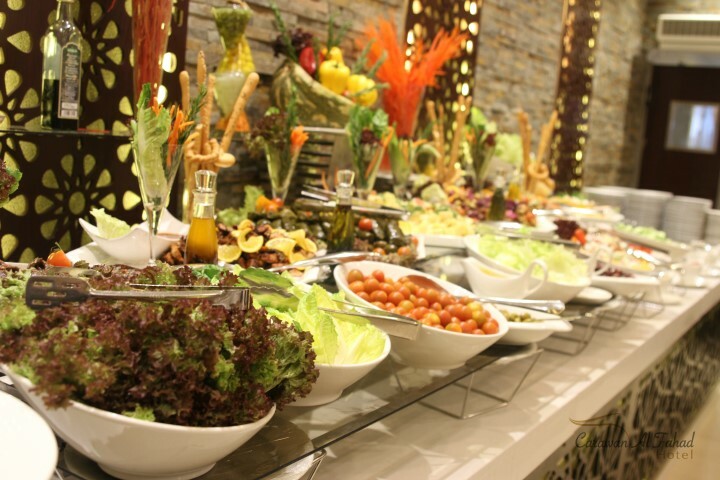 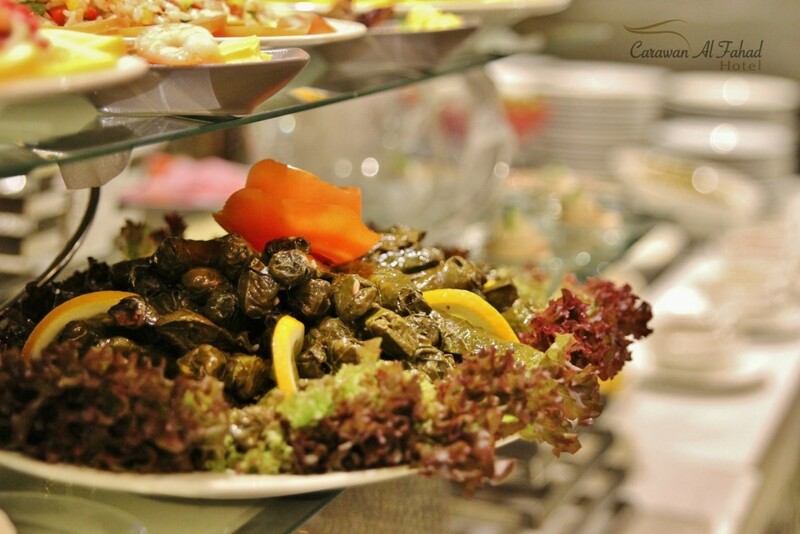 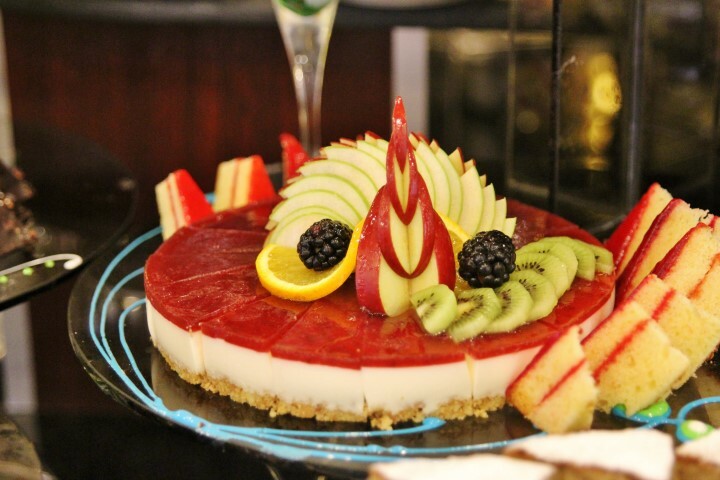 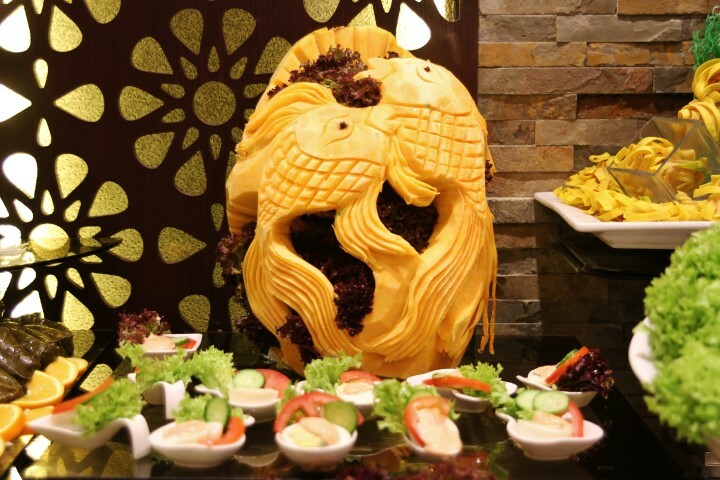 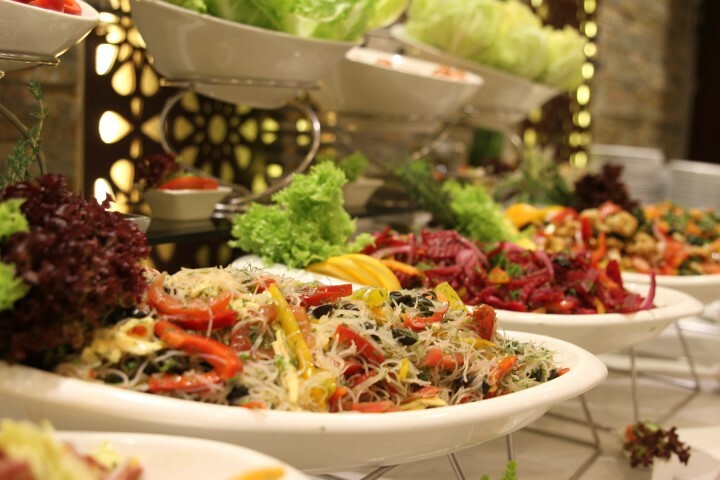 All-day dining AL Fahad Restaurant, is located at the lobby level. 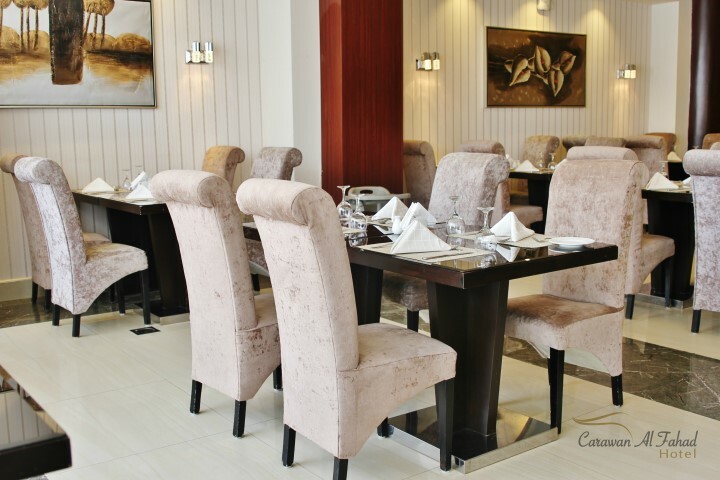 The outlet is beautifully laid out with a total capacity of 110 people. 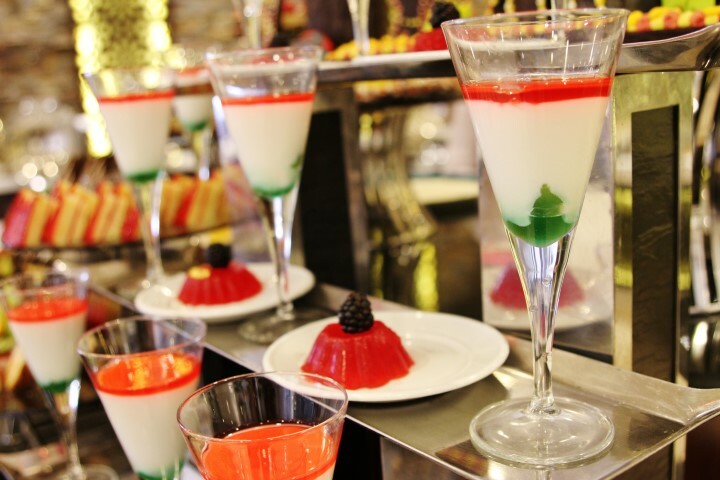 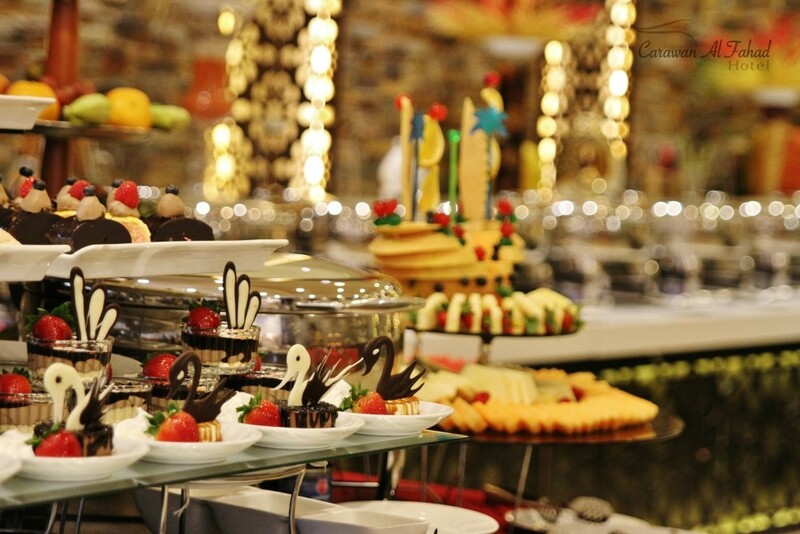 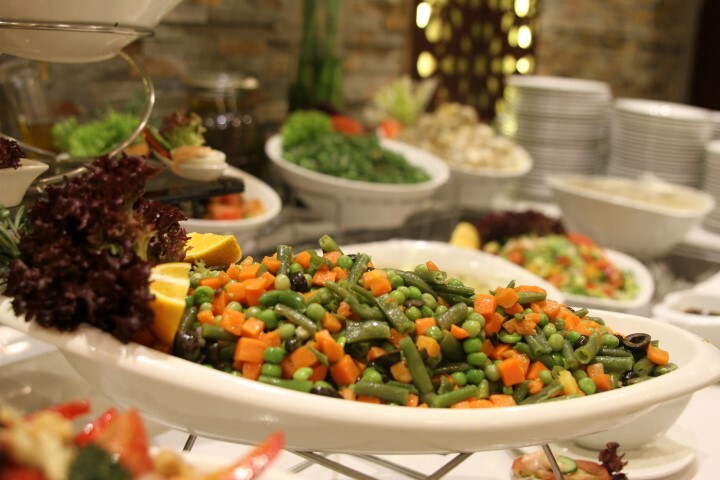 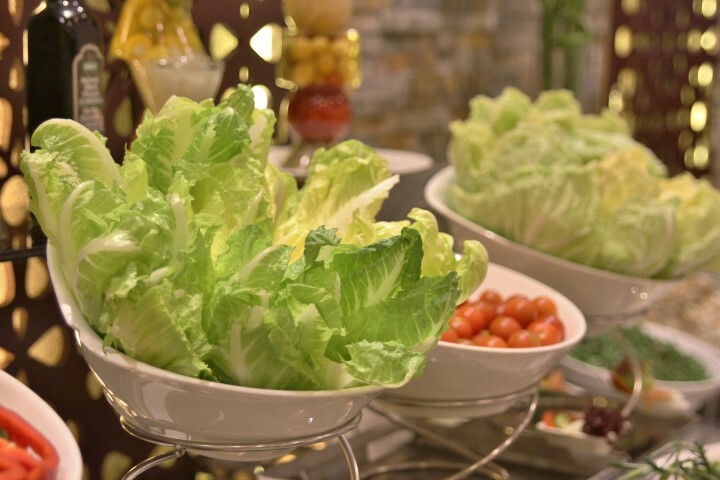 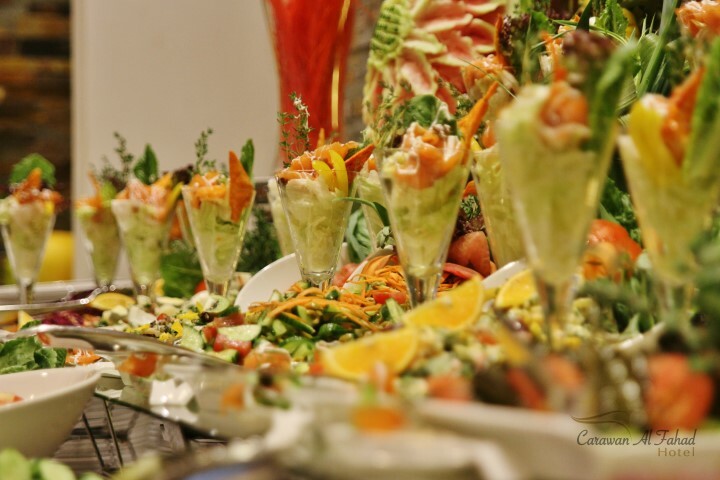 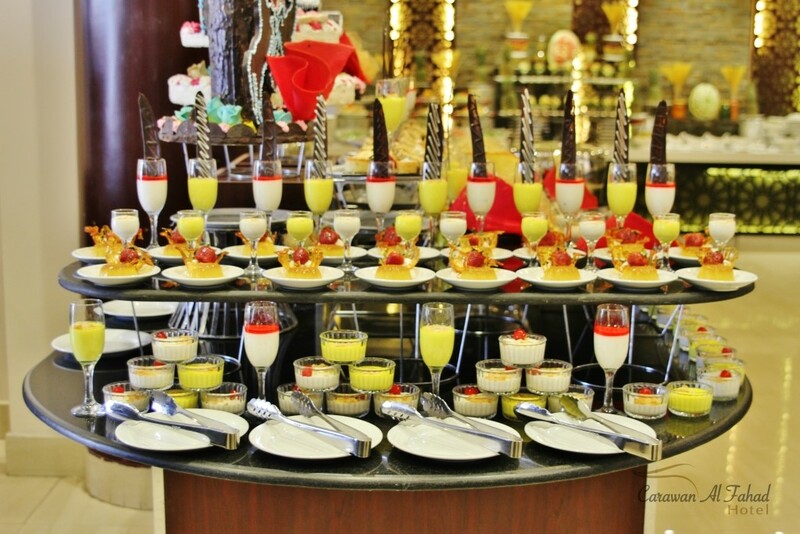 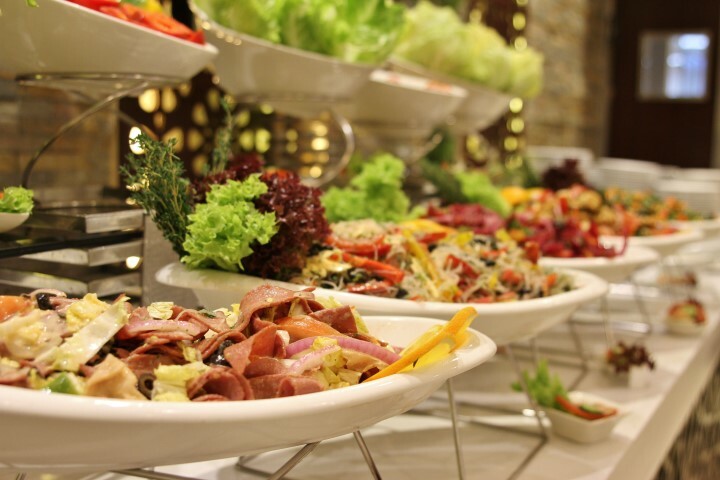 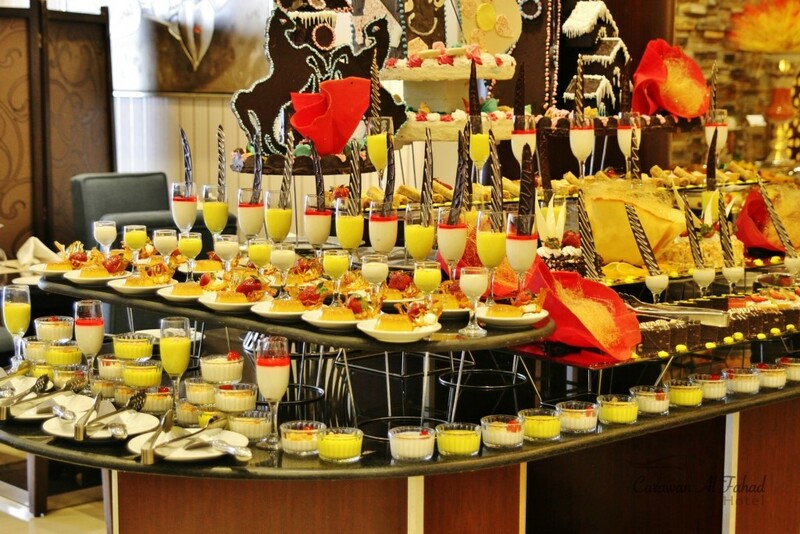 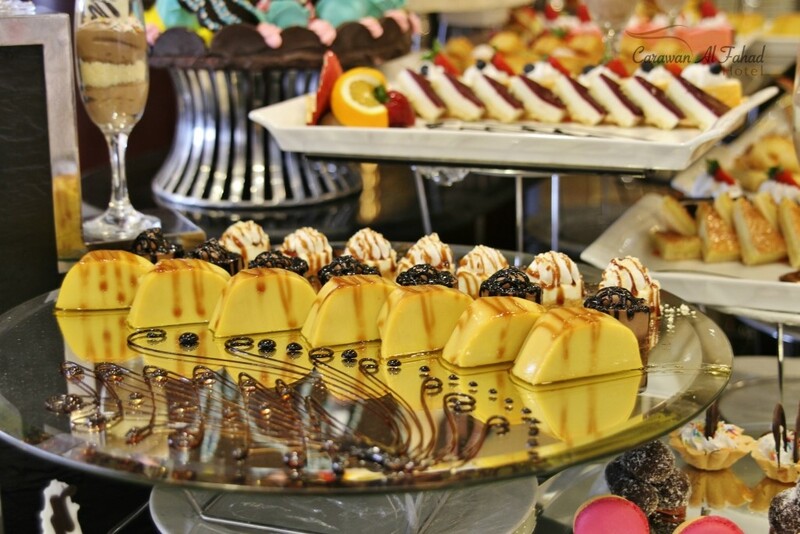 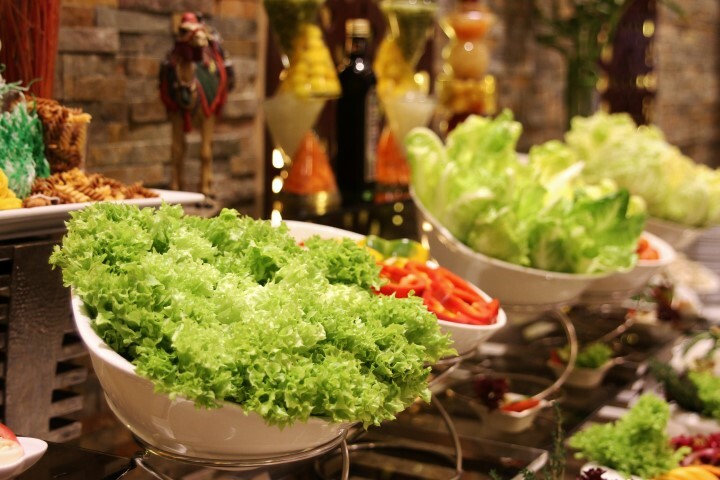 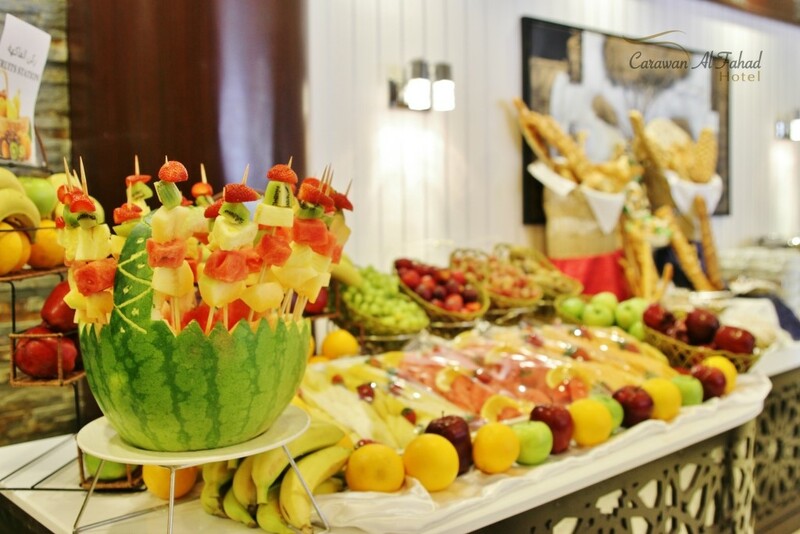 Guests can enjoy our lavish buffet for breakfast, lunch and dinner or order their favorites dishes from our a la carte menu. 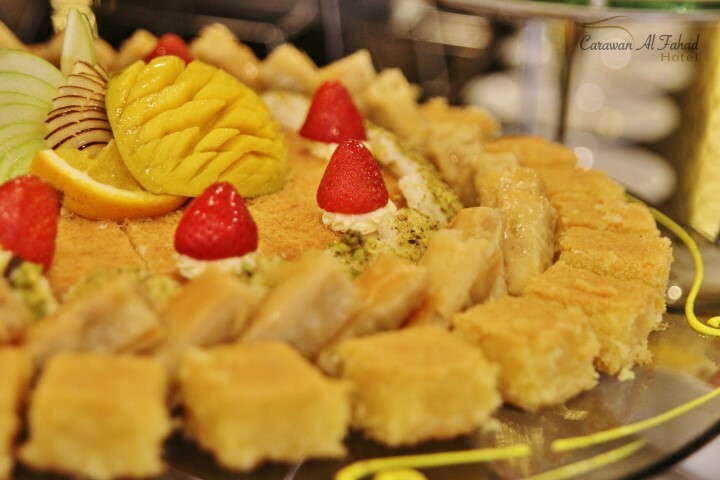 I-Cafe can accommodate up to 35 people. 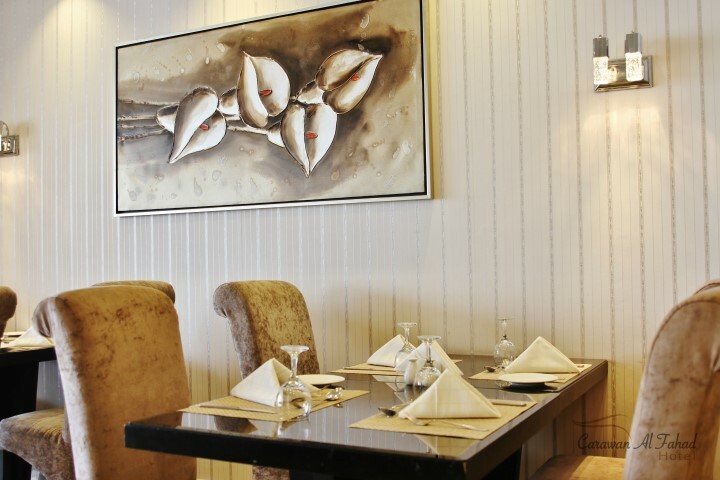 It is the ideal spot for you to relax, socialize and entertain anytime of the day. 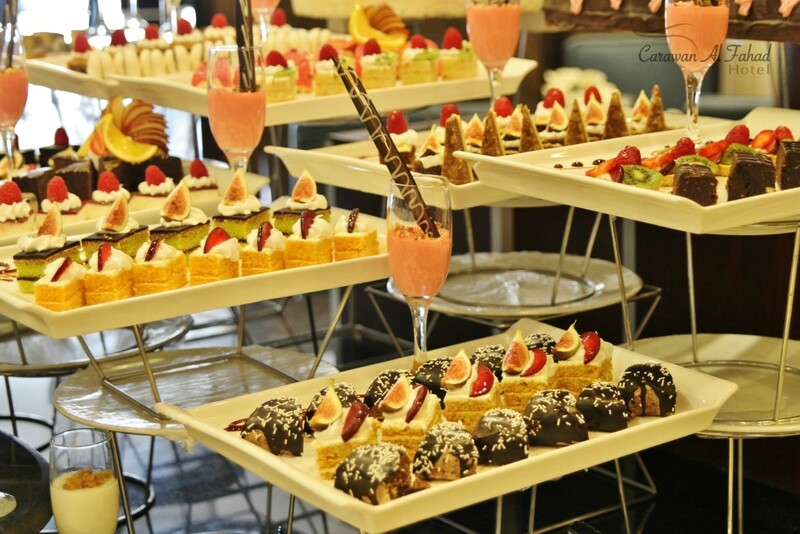 The cafe is great for a one-to-one business meeting too. 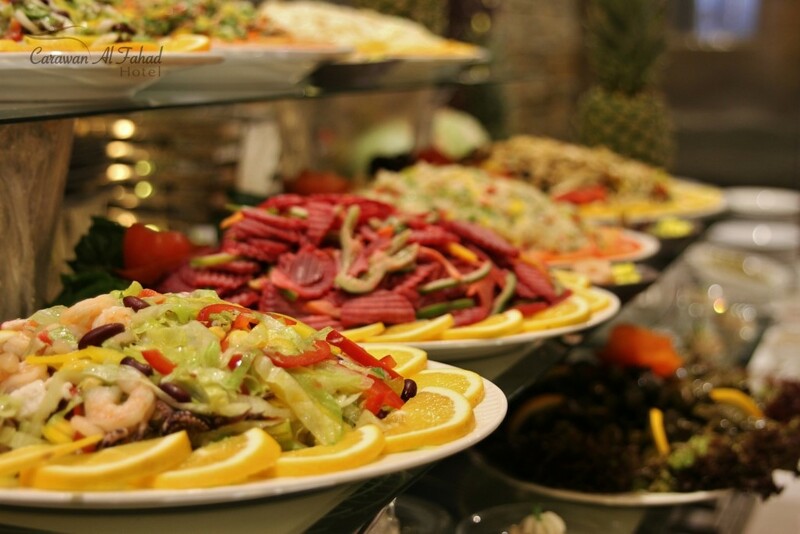 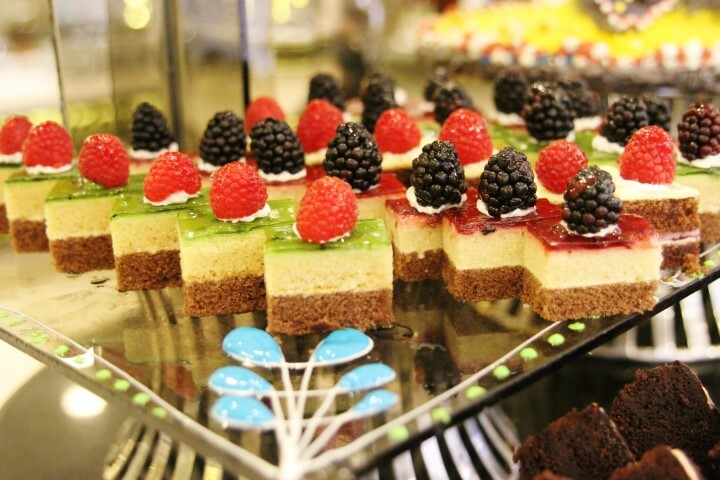 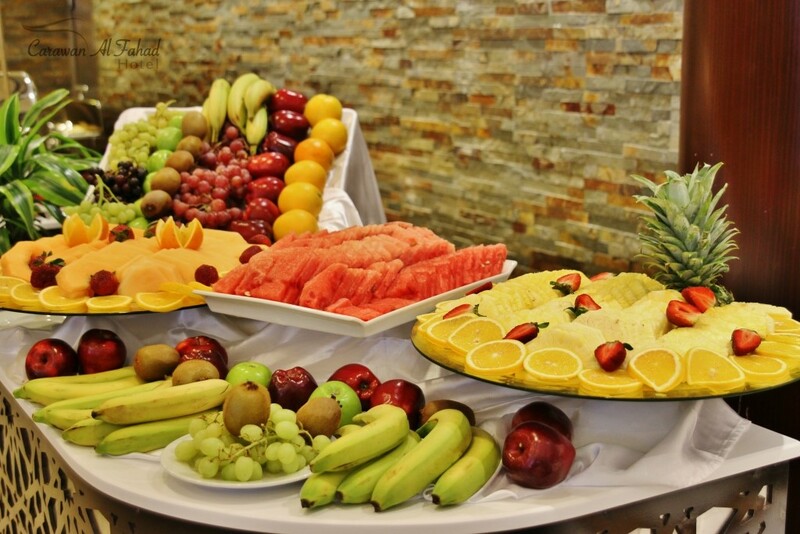 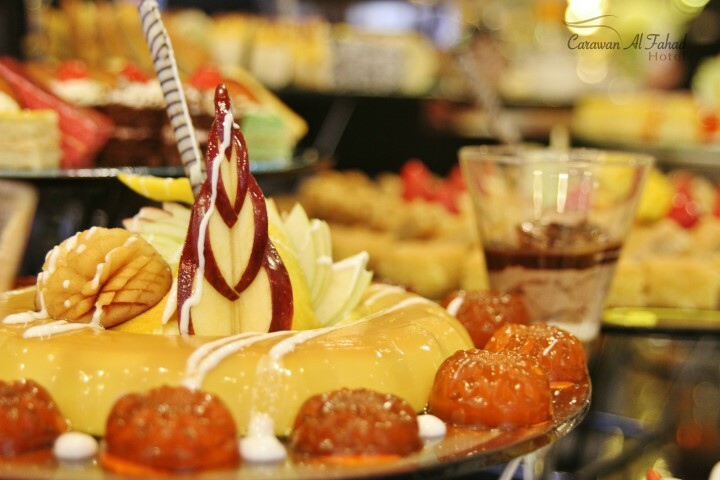 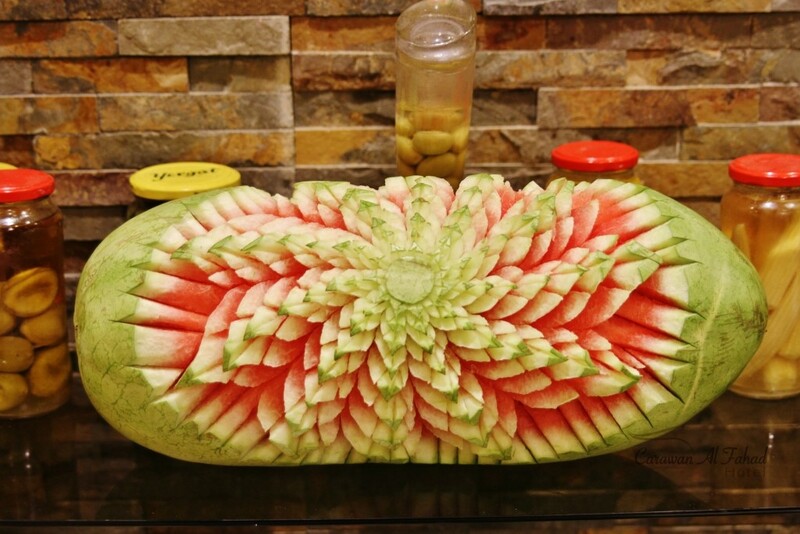 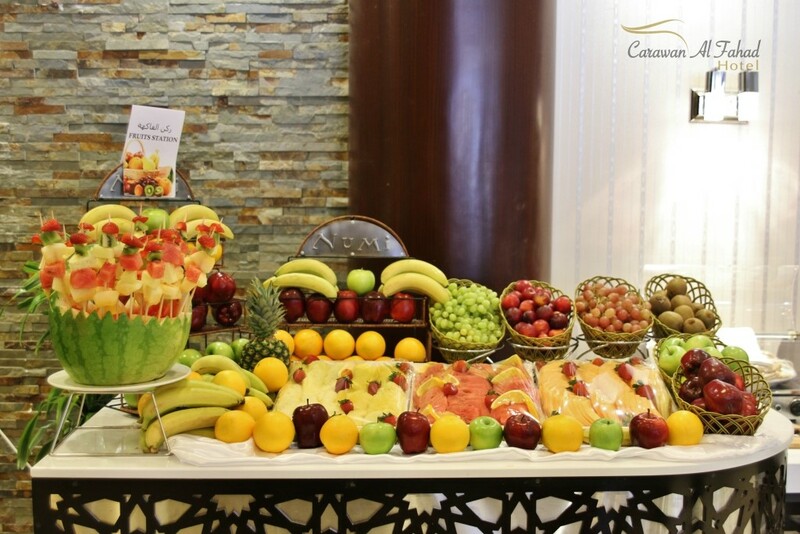 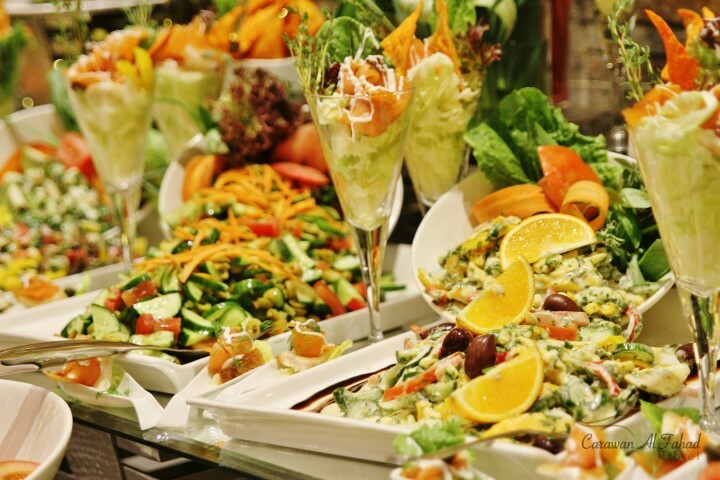 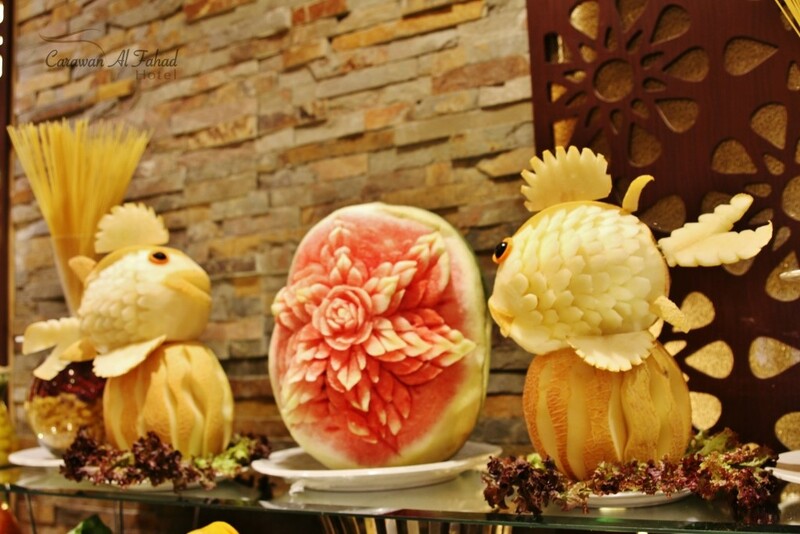 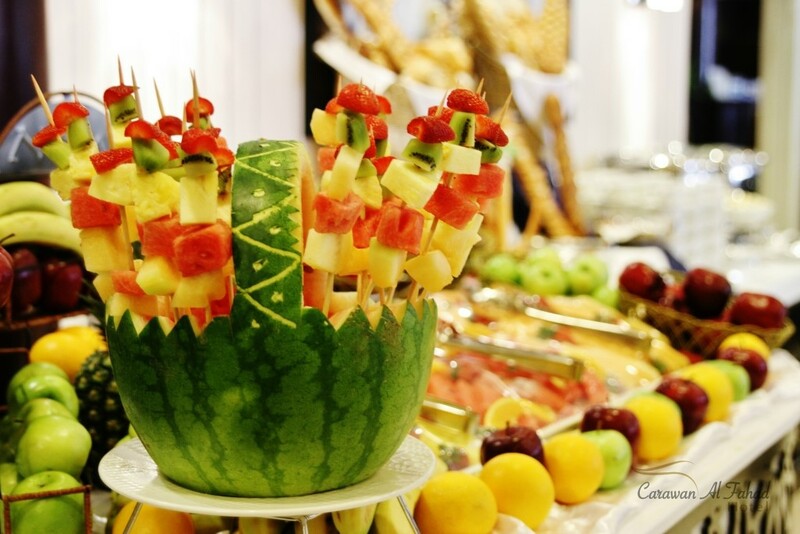 You will find on the menu a variety of fresh juices, light snacks, cakes, pastries, cookies, sandwiches, salads and soups. 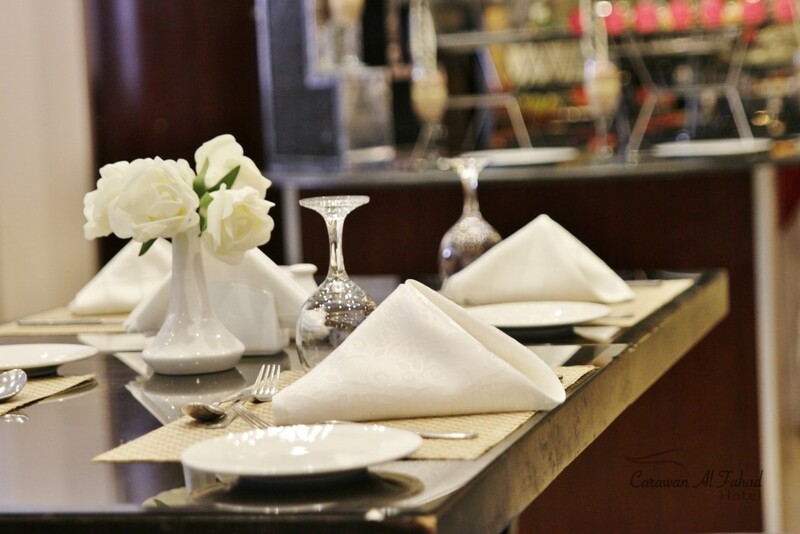 If you prefer to dine in your room, order your meal through our 24 hours room service. 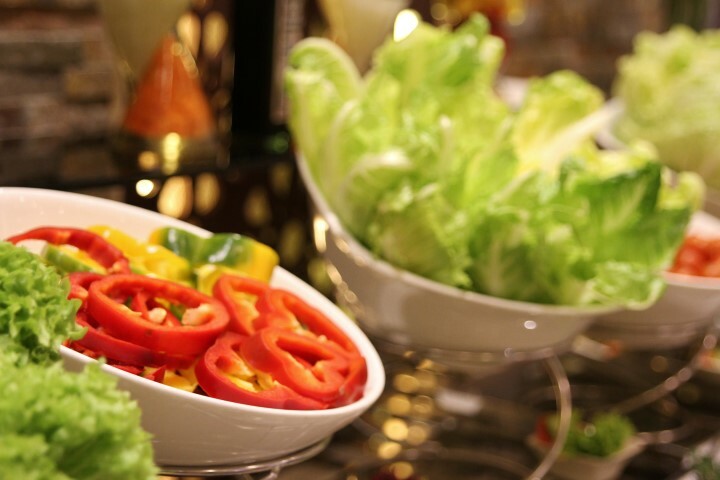 For your convenience, our chefs have assembled a delicious in-room dining menu. 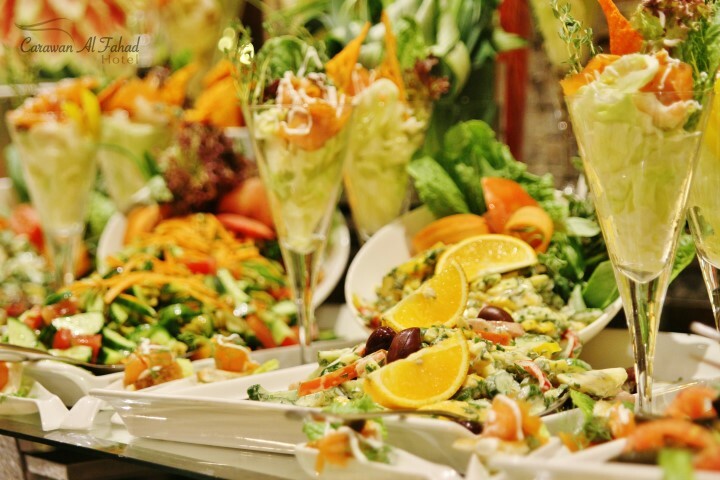 We provide outside catering for corporate events and private parties. 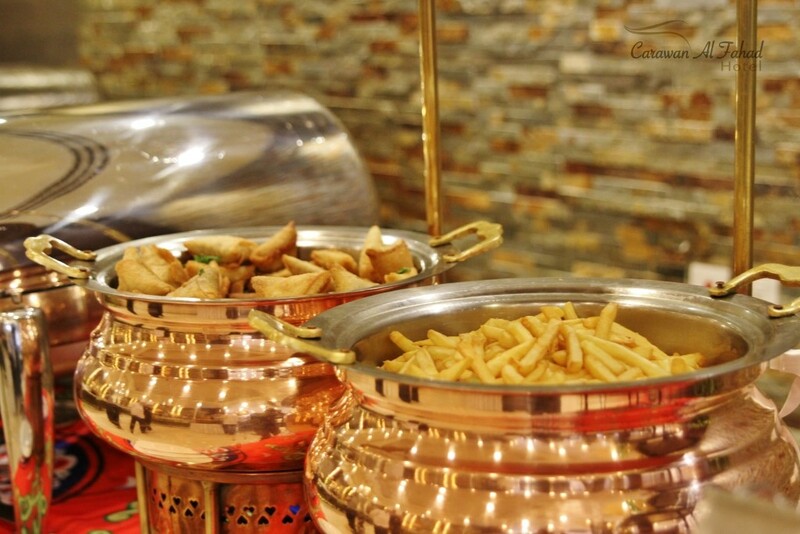 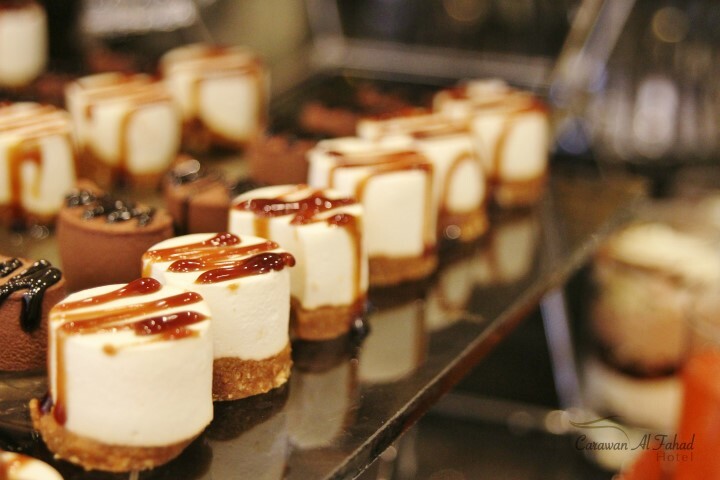 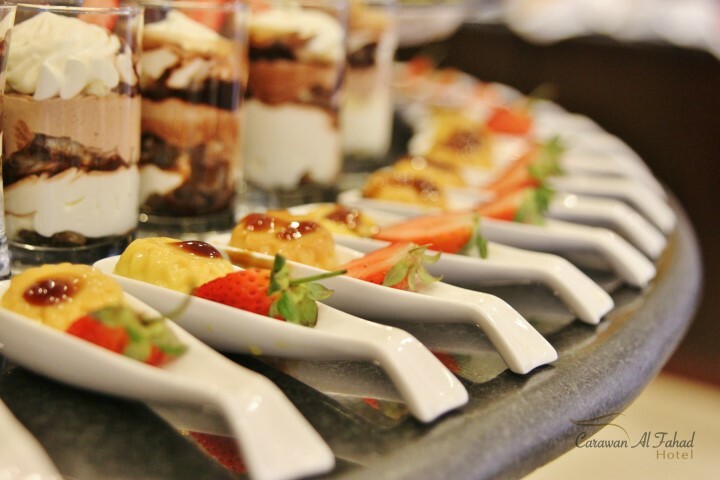 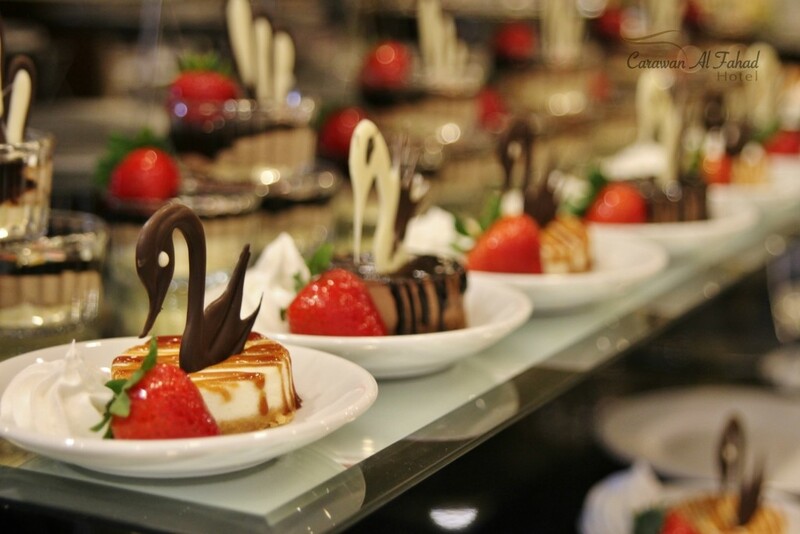 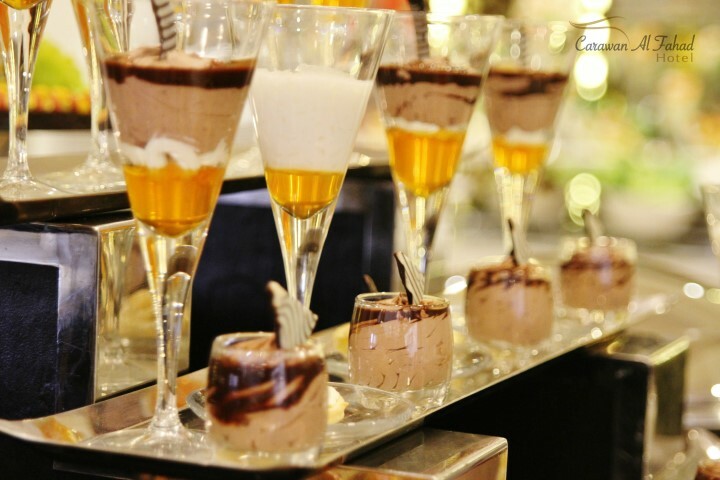 We offer a variety of tempting menus specifically tailored to fit your needs. 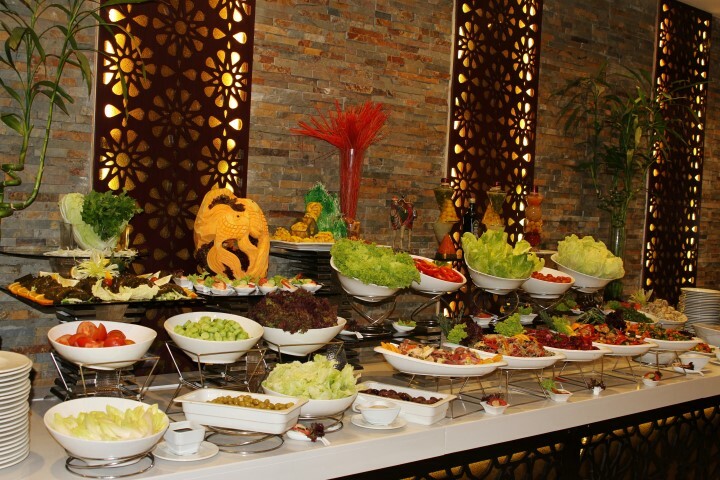 The carefully selected menus reflect dedication to quality, diversity and originality. 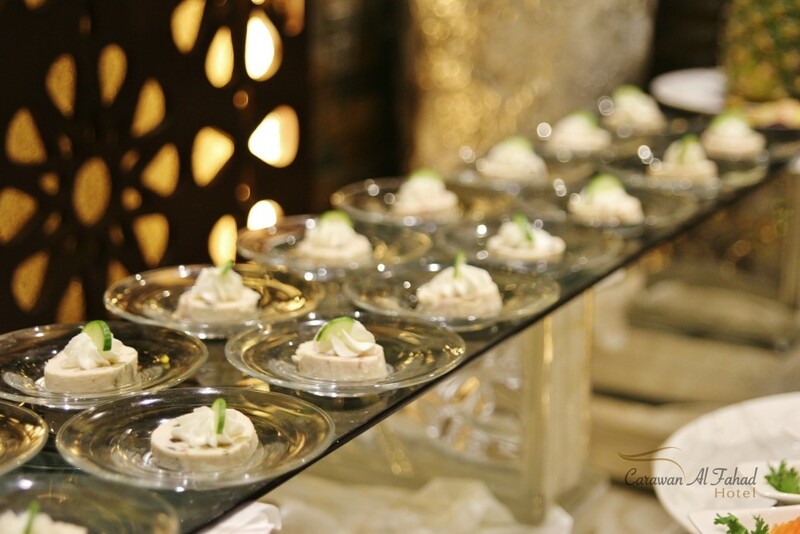 Our dedicated staff will provide professional service overseeing every detail of your special event.